Since her arrival in the US from Venezuela, Valentina Goldman isn't exactly living the American dream. She is living the American nightmare. Her late husband, Max, has left her a young widow, an angry ex-wife who is keeping the secret of Max's untimely departure, plus an American step-daughter Valentina cannot figure out. And oh, after giving up her dream job in New York, Valentina is now unemployed in Arizona. As her story unravels, Valentina's double-edged wit exposes both the ridiculous soap-opera-ish aspects of contemporary Venezuela and the many confounding features of life in America. Quirky and eccentric, Valentina Goldman's Immaculate Confusion is an enchanting entree into the world of the immigrant experience. Told in sidesplitting vignettes that hit the heart, Valentina's is a moving story about what happens when a passionate South American woman moves to the US and like so many of us, ends up with a life she never imagined. After her husband's unexpected departure a year ago, poor Valentina is stuck. Help arrives in the form of an unwelcome guest: her mother, who shows up unannounced at Valentina's doorstep to take her on a 12-day Mediterranean cruise full of unexpected detours. 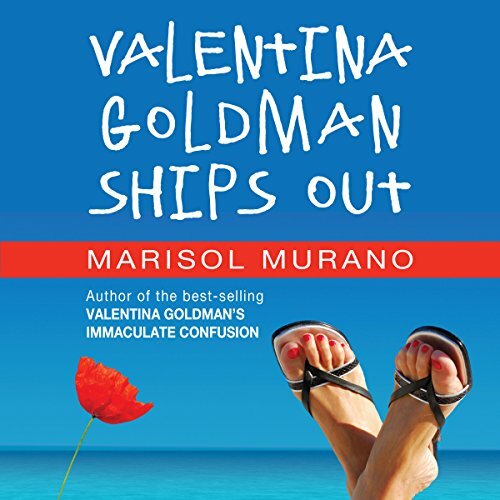 If you've always longed to go on a cruise, ship out with Valentina. And if you've never wanted to go on a cruise, go anyway. You are likely find yourself alternately delighted and surprised by her quirky encounters at sea and alluring ports of call.